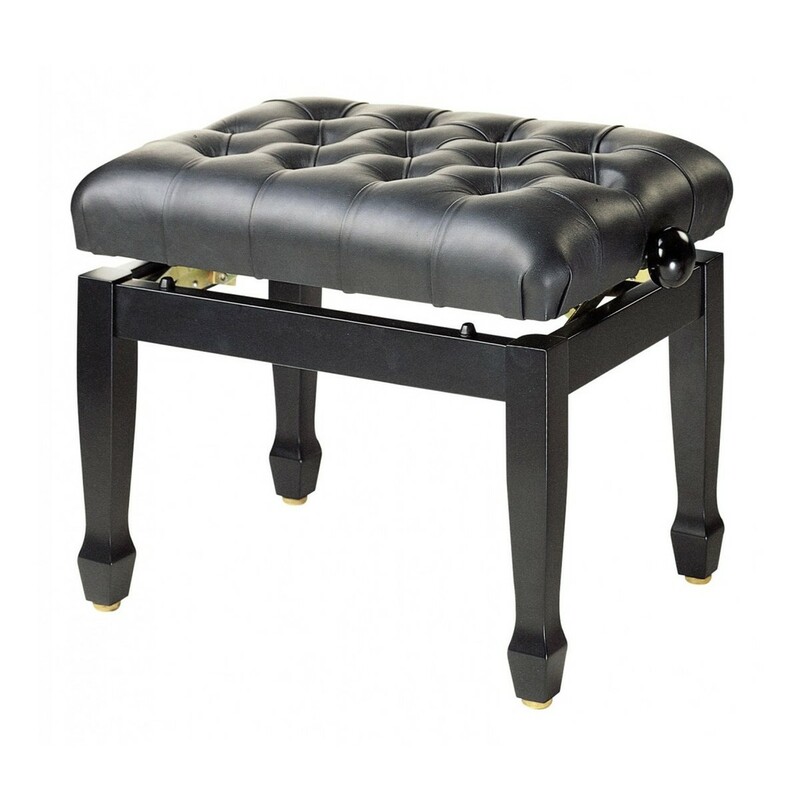 The Stagg Concert Vinyl Piano Stool is ideal for the professional piano player. The adjustable height allows you to tweak the stool to your exact preference, perfect for promoting the correct seating position. The vinyl top has a durable build quality as well as a comfortable feel. The stool's soft padding means you can perform for hours without feeling strain. Finally, this stool has a polished black finish for a timeless look that will complement any setting.